What’s old is new, or so they say. That’s fine when it comes to fashion trends and music, but what about medicine? Surley modern medicine is superior in every way to the medicine of old? Not so fast, in 2015, researchers at Nottingham University “recreated a ninth-century Anglo-Saxon remedy using onion, garlic and part of a cow’s stomach”. Shockingly, they found that it nearly irradicated the bacteria that causes MRSA. Is this an isolated example of the genius of Medieval medicine or are there other historical cures just waiting to be discovered? Well, let’s take a little journey through the strange world of the Medieval apothecary and find out. First of all, it is important to understand that in the Middle Ages, most medicine used for common ailments was harvested from the home garden. These medicines typically consisted of a single ingredient, such as parsley, sage, rosemary and thyme, yes, just like everyone’s favorite Simon and Garfunkel song. You know you love it, I won’t tell. Early Italian Pharmacy. Artist: unknown. Source: Wikimedia Commons. Other medicines contained multiple ingredients and required compounding or mixing. Producing these concoctions could be complicated and were often purchased from an apothecary. The apothecary was both the person who mixed the medicines and the physical building where they were purchased. Think of the Slug and Jiggers Apothecary from the Harry Potter series. It’s probably not so far off from what an authentic Medieval shop may have looked like. When entering the apothecary, you witness ingredients of all sorts, vegetable, animal and mineral, being mixed, using a complicated blend of magic, theology, dogma, and science. The ingredients range from the ordinary, extraordinary, to the downright disturbing. One of the more popular sources for procuring ingredients was dead people. Yup, you read that right, dead people equal medicine. To be fair, the idea of using dead people to cure what ails you can be traced to ancient times, so it wasn’t uniquely Medieval. For example, the finest in ancient Egyptian medicine, as outlined in the Ebers Papyrus, recommends for diseases of the eye, an ointment made from the brains of a freshly dead corpse. “Hey, I’ve got some fresh brains here. Great, let me put them in my eye”! No thank you. Pollice Verso (“With a Turned Thumb”), an 1872 painting by Jean-Léon Gérôme. Source: Wikimedia Commons. However, the ancient Egyptians weren’t the only ones participating in some highly questionable behavior. Ancient Romans also thought that eating dead people held some value for their health. 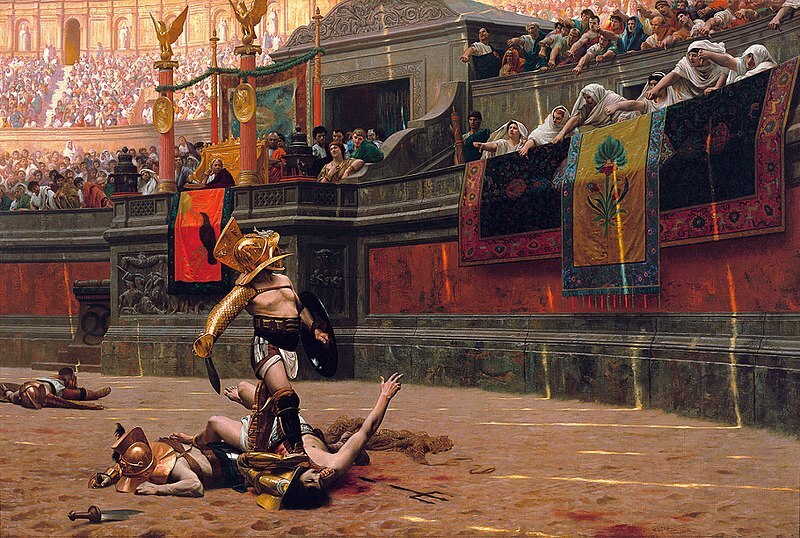 In Rome, the blood and liver from freshly dead gladiators was highly sought after as a curative for epilepsy and other, ahem, “virility-based” issues. After a violent gladiatorial fight, fine Romans could be seen harvesting body parts and blood from the poor souls left to die in the sand. Here’s hoping the poor guy was actually dead before the madness ensued. But I digress, back to Medieval Europe. Here, human skull was ground into a powder, mixed with liquid, and ingested, with the hope of curing ailments of the head. Think headaches and the like. The underlying belief being that “like cures like”. You have a headache? A little touch of someone else’s head should do the trick. Get it? No? You’re not alone. Today we call it homeopathy. You may be selling it, but I’m not buying. The problem with corpse medicine, as if there is only one, is that before you can eat dead people you have to find one. A great place to start the hunt was with the friendly local executioner. Looking to score some human fat or body juice? He was your main man! Executioners processed the bodies of criminals and enemies of the state, much like a butcher would a cow. Flesh was flayed, bones ground, blood collected, and fat rendered. Soylent Green really is people! I think I’m going to be sick. 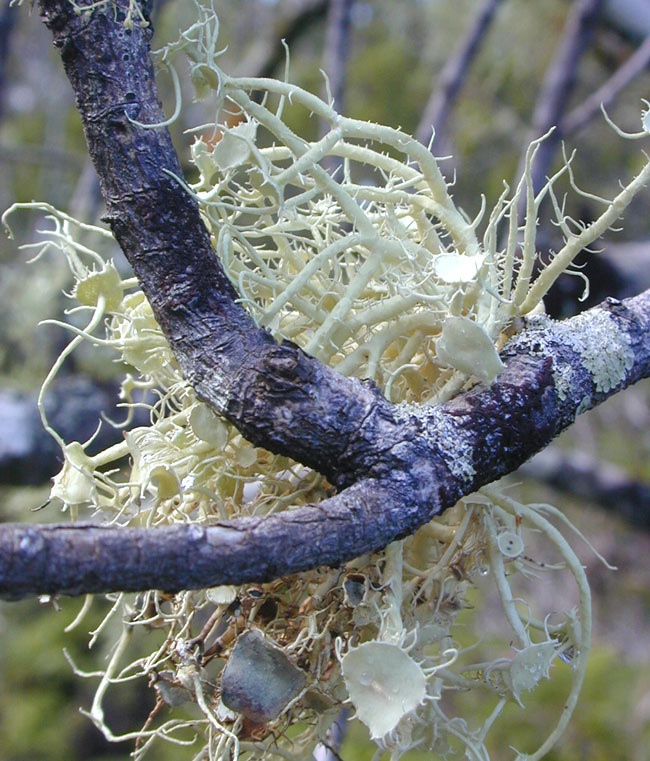 Usnea australis. Author: Eric Guinther. Source: Wikimedia Commons. In turn, apothecaries purchased these “ingredients”, compounded them, and sold them to the general public. You should thank your lucky stars for the FDA! However, before being sold, ingredients from the dead were typically mixed with mosses called usnea. These mosses could be found growing in the local graveyard. Modern herbalists prescribe this same moss to boost the immune system. At least part of it was “good medicine”. One such concoction, called Axung Hominis was made with human fat, mixed with moss. It was applied to open wounds or rubbed on arthritic joints. Now, as unsanitary as that sounds, there is some evidence that it may have helped to prevent infections in wounded limbs, possibly preventing the need for amputation. That would be a tough call, rub human fat on my open wound or lose an arm. I’ll have to get back with you on that one. Corpse medicine is only one slightly disturbing, but highly interesting, aspect of the apothecary. Check back soon to discover the many uses of human urine and the “benefits” of feces to the health of the Medieval man! And Also be sure to come an check out our new special Exhibition Knights! This is the most interesting blog I’ve ever read! I’ve never been so enraptured reading something I knew so little about. Great writing and glad I stumbled onto this blog.